Just a reminder: the Dwight Hall Cabinet meeting will be occurring Monday (that's today) at 7 PM. This meeting is mandatory for groups to retain Dwight Hall membership. It will be quick and painless, and the second half will contain time for people to get to know their networks and each other. 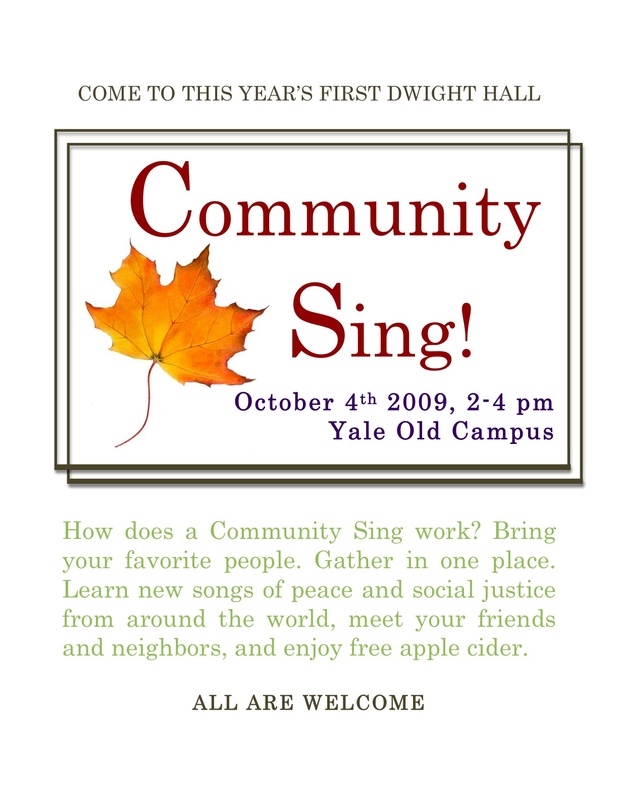 Also, back by popular demand is the Dwight Hall Community Sing - with free apple cider! If you've ever wanted to learn songs with titles such as diverse as "All You Fascists Bound to Lose" or "Kumbaya" this is your thing. It doesn't matter if you can't sing. None of us can. But we still somehow manage to make some pretty sweet music together. That's all. Does holla need some d's thrown on it? Yes. Always.